Last month MegaBots and Kuratas figuratively shook giant robotic hands and agreed to set up a mech duel. The problem for MegaBots? Kuratas wants melee combat, and their current model is horribly equipped for that. So they’re turning to Kickstarter for help. 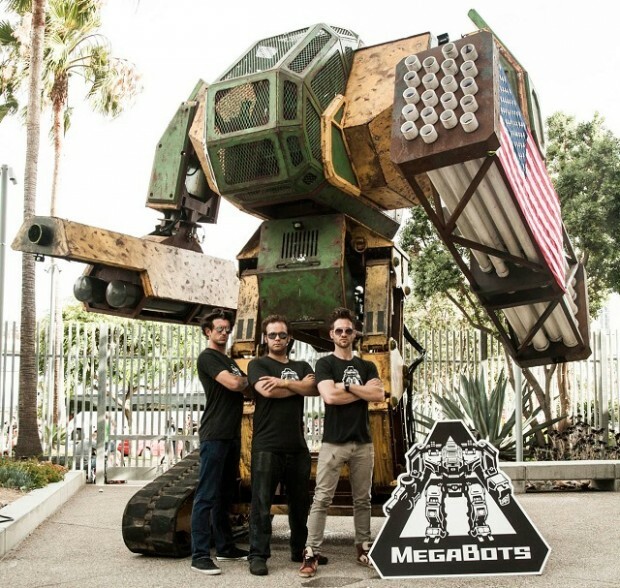 If they reach their target goal of $500,000 MegaBots gets to overhaul the Mk.II’s armor, hydraulics, weapons and tracks. If they raise at least $750K they plan on developing modular weapon arms with both melee and ranged options. If they get a million dollars, they might be able to come up with a high-end balance control system, which they admit is just as crucial as the basic overhaul. After all, a poorly balanced robot could topple over after receiving – or throwing – a single punch. And their mech has no ground game. Here’s where it gets darkly comedic. If they raise at least $1.25M, then they’ll be able to research cockpit safety systems with NASA. I wonder what their pilots think about that. Finally, if they ever raise at least $1.5M they’ll be able to afford a high quality paint job. 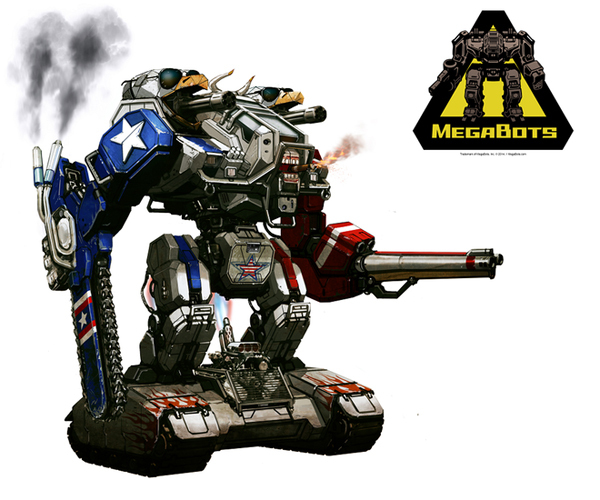 You might think it’s pathetic that MegaBots agreed to a battle they can’t win on their own, but as mentioned in the video this isn’t just for national pride. The research and technology that will come out of this duel will benefit the entire robotics field, what with great minds such as NASA, Autodesk, Howe & Howe and more waiting on the wings to support MegaBots. Pledge at least $5 (USD) on Kickstarter to support MegaBots. 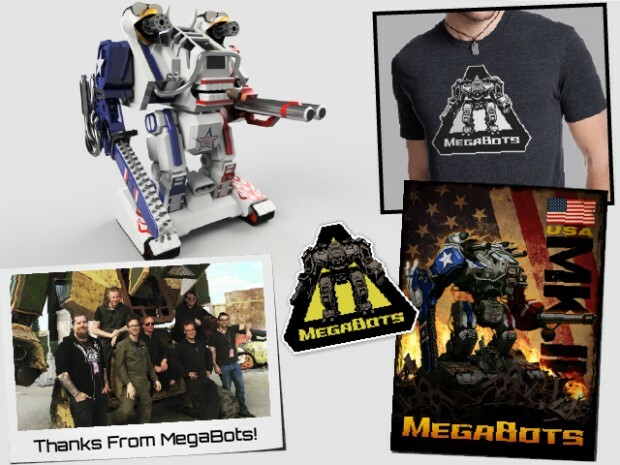 Rewards include a sticker, a 3D printed MegaBots miniature all the way up to becoming one of the pit crew for the fight.